This category contains all pages labeled with inline weasel word-related templates, and exists primarily for bot-based monitoring of articles containing weasel words. By-month categories are located in Category:Articles with specifically marked weasel-worded phrases. 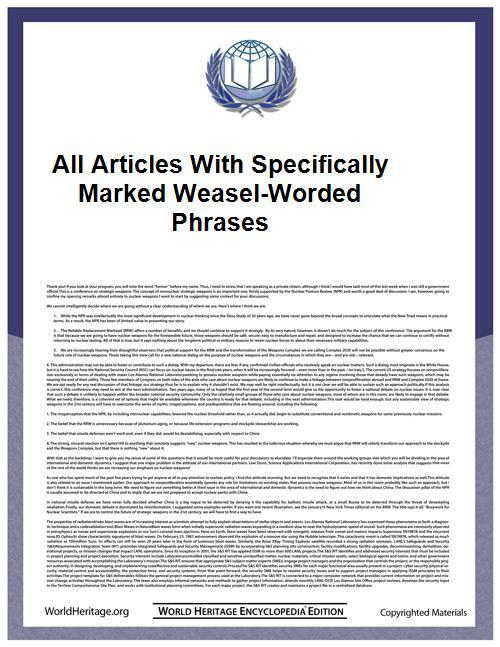 Pages in category "All articles with specifically marked weasel-worded phrases"